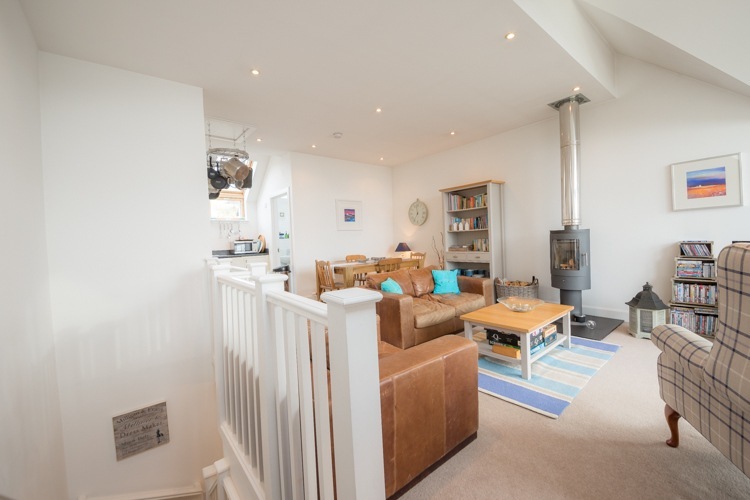 Ben Macdui is a beautiful 4 star house furnished in a relaxed but sophisticated beach house style. 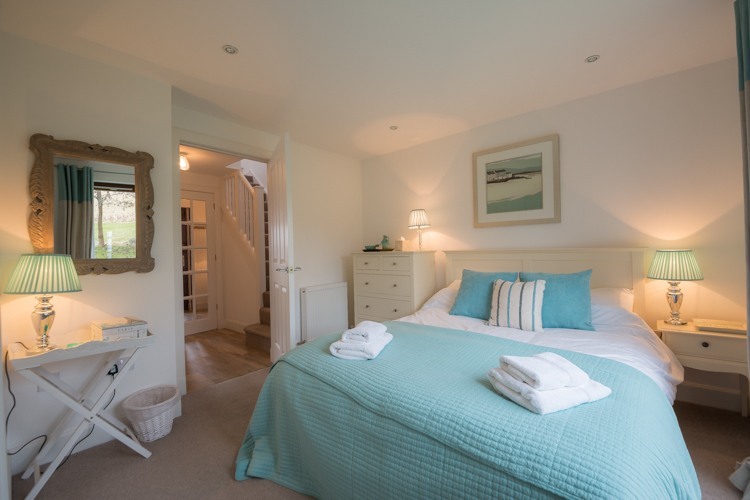 The house is calm and inviting, with soft tones and painted furniture. Colourful artwork by local and other well-known artists sets off the space beautifully. 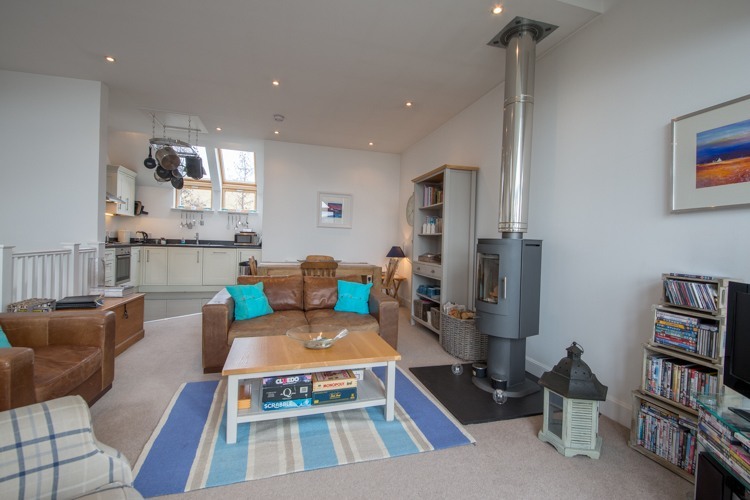 The log burning stove provides the perfect touch for those long relaxing evenings. 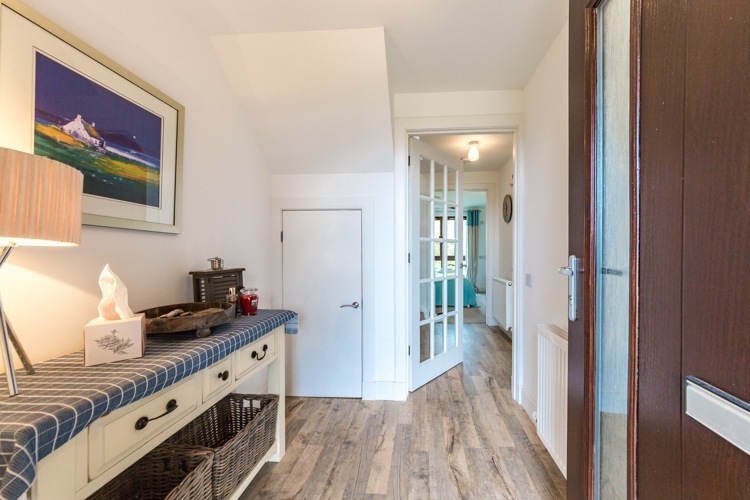 After a day enjoying the local area, curl up with a book or film or just gaze at the night sky and moonlit Loch before retiring to the sumptuous beds and a peaceful night’s sleep. 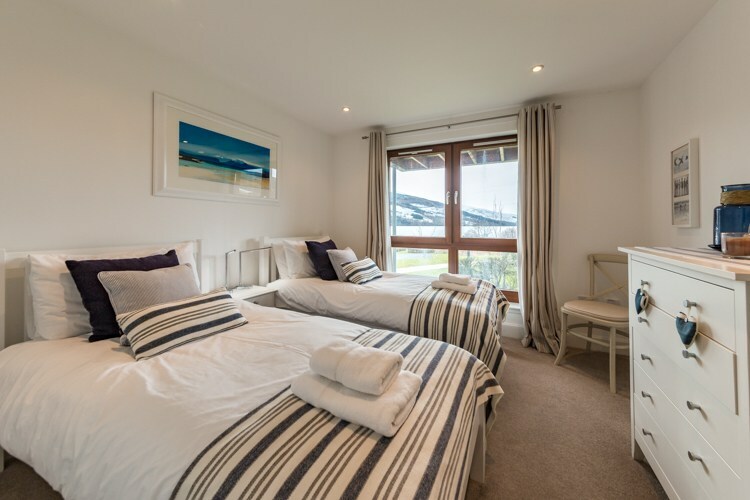 Sleeping 4, Ben Macdui has two bedrooms – 1 king size and 1 twin. 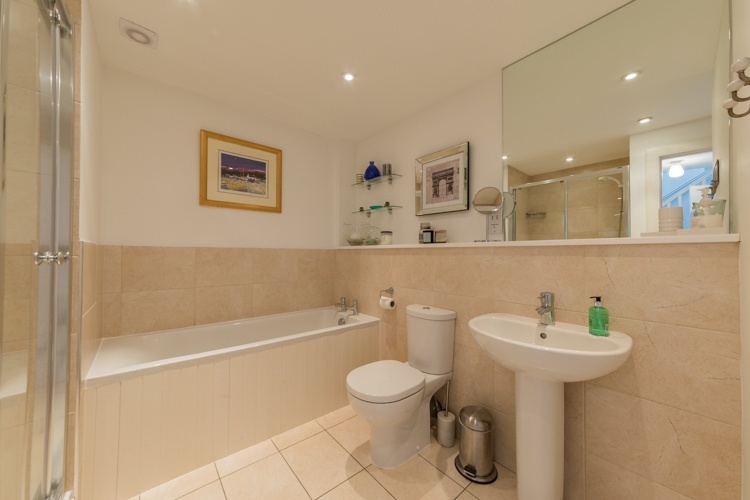 There is one en-suite shower room and a large family bathroom with separate shower. Upstairs the living space is open plan with a furnished balcony. 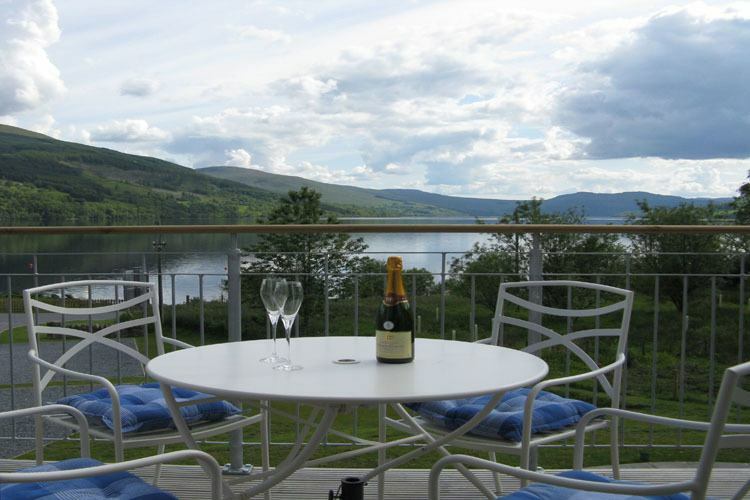 Whatever the weather, sit back and enjoy wonderful views of Loch Tay and the surrounding hills. 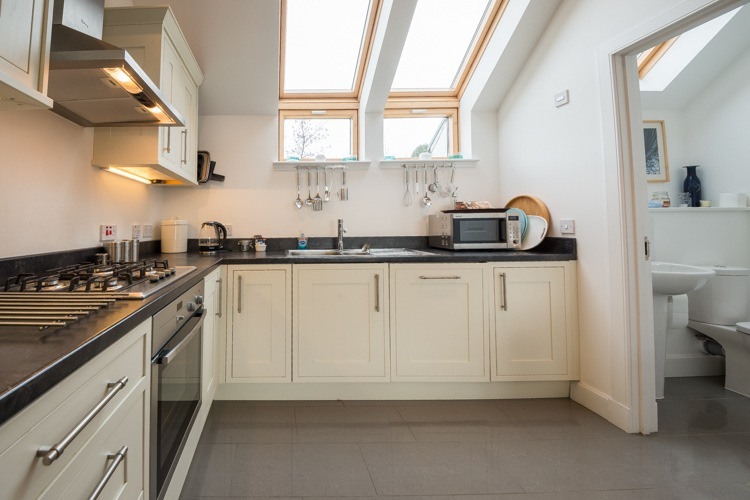 Ben Macdui is 3 miles from the pretty conservation village of Kenmore, on the banks of Loch Tay. If you’re looking for an active holiday, there is a wide range of outdoor activities such as golf, water sports, fishing, walking, cycling, white water rafting and even bungee jumping!